the SEGreen Plant Conference, scheduled for August 31 – September 1, 2016. The conference will be held in conjunction with SEGreen at The Classic Center in Athens, Georgia. Ten of the industry’s top plant experts will share their knowledge and expertise during this two-day conference. Internationally recognized plantsmen, Don Shadow, SNA past president, and Dr. Michael Dirr, author and retired professor of horticulture at the University of Georgia, will moderate the sessions featuring an impressive list of authors, botanical garden directors, breeders, geneticist, horticulturists, professors, and world travelers. The SEGreen Plant Conference provides the perfect platform for the grower, landscaper and retailer to come together for a glimpse of exciting new plants coming to market, with focus on new and superior cultivars, the most resistant, prolific blooming, superior shape or habit, and the most interesting flower or foliage. So We’ve Got all These New Genetics, Now What? The Don Shadow Award of Excellence will be presented at the conclusion of the conference followed by the SEGreen New Plant Auction. In addition, a UGA Campus Landscape Walk & Talk with Dr. Michael Dirr is scheduled following the conference. Registration for the conference is $90 for a 1-Day Access Pass (Wednesday or Thursday), and $150 for an All Access Pass (Wednesday and Thursday), with the option of attending any Plant Conference or Landscape Conference sessions. A SEGreen Name Badge is included with registration for access to the SEGreen Marketplace. Speaker bios, session titles and description, schedule and registration information can be found on the SEGreen website at www.segreen.org. SEGreen, scheduled for August 30 - September 1, 2016, will offer vision for Southeast grower, landscaper, and retailer through a regional marketplace, education, and garden, nursery and retail tours. A host of the region’s top experts will participate, sharing their expertise and perspectives on the road ahead. Business Meeting (September 1), and the SNA State Officer’s Conference (September 2). Mary Henegar, wife of retired SNA Executive Tommy Henegar passed away on Tuesday, April 12, 2016. Tommy Henegar served as the Executive Vice President of the Southern Nursery Association (1972 - 1988.) Mary offered full support and involvement in the association during those 16 years. Tommy preceded Mary in death in July of 2011. SNA would like to express our sincere sympathy to the family of Mary Henegar. We honor the work that both Tommy and Mary did for the association. Mary Lucille Husted Meadows Fultz died March 20, 2016 at Sanctuary Hospice House in Tupelo, Mississippi following a brief illness. She was born April 18, 1923 in Alexandria, Louisiana to the late Lily Merritt and Gordon Morgan Husted. Ms. Fultz graduated from Central High School in Little Rock, Arkansas and completed three years of college at Henderson Teachers College in Arkadelphia, Arkansas. She was married to Sidney Branch Meadows for 46 years until his death in 1988. Together they had four children. Fultz was a devoted mother, homemaker and supporter of her husband's career at Flowerwood Nursery and the nursery industry. In 1990, Fultz married the late Charles Leonard Fultz and for four years, the two shared a great love and many adventures as they traveled across the U.S. and Canada. Fultz was a faithful and active life-time member of the United Methodist Church at several churches in Mobile: Government Street; South Brookley; and most recently at Ashland Place. In every church, Fultz found great satisfaction serving as a teacher in the Sunday School as well as serving in United Methodist Women and every other service opportunity that presented itself. Fultz was a lifetime member of the Daughters of the American Revolution and held many leadership positions in her chapter and in the Mobile organization at large. She enthusiastically enjoyed leading guided tours of the Richards DAR House in Downtown Mobile for many years. Fultz was a voracious reader and loved to keep up with current events and enjoyed lively discussions at home and in numerous groups. For the last 20 years, the group dearest to her heart was The Wise Women: Six extraordinary women formed a Study, Support and Accountabilty group which met weekly in each others' homes. Together they studied Scripture, challenging theology topics, poetry, fiction and non-fiction: anything the group found interesting. These satisfying and deep friendships enriched and sustained Fultz to the end of her life. SNA's Sidney B. Meadows Scholarship Endowment Fund, established in 1989, was named to honor Mary's first husband and SNA past president (1968). A Service of Death and Ressurection will be held on Friday, March 25, 2016 at Ashland Place United Methodist Church. Visitation will begin at 10:00 a.m. in the church parlor with the service following in the Sanctuary at 11:00 a.m. Interment will take place directly after the service at Mobile Memorial Gardens. Radney Funeral Home is providing direction and arrangements. Ms. Fultz is survived by her daughters, Mary Jane Meadows-Hillen (Reed) of Tupelo, Ms. and Margaret Meadows Moore (Karl) of Birmingham, Al. ; four grandchildren, W. J. Livingston, MD, (Lark) Mary Meadows Livingston, Katie Barrier (Jamie) and Sid Meadows and their mother, Mary Alice Krotine. She is also survived by 5 great-grandchildren, Lilly, Lucy, Charley and Claire Livingston and Billy Barrier. She is also survived by the Leonard Fultz family, Diane and Dave Harvey and their children, Steve and Missy, as well as Thom and Cindy Fultz and their children, Paul, Anne and Hope. Relationships with numerous nieces and nephews greatly enriched her life. She is preceded in death by her husband Sidney Branch Meadows and husband Charles Leonard Fultz; two sons, David Gordon Meadows and Glenn Sidney Meadows as well as one brother and two sisters. Memorials may be made to Ashland Place United Methodist Church, 15 Wisteria Ave. Mobile, Al. 36607. SNA would like to express our sincere sympathy to the family of Mary Meadows as well as a sincere thank you for all that the Meadows family has done for the association for so many years. Atlanta, Ga., March 10, 2016 – The Southern Nursery Association (SNA) has announced plans for SEGreen, a new event, debuting August 30 – September 1, 2016, at The Classic Center in Athens, Georgia. SEGreen will look to the future for Southeast growers, landscapers, and retailers through a regional marketplace, education, and garden, nursery and retail tours. A host of the region’s top experts will participate, sharing their expertise and perspectives on the road ahead. This year’s event will kick off with garden, nursery and retail tours on August 30. Included on the agenda is the SEGreen Marketplace, SEGreen Plant Conference and the SEGreen Landscape Conference (August 31 and September 1). SNA will be conducting annual business as well during SEGreen with the 61st SNA Research Conference (August 30 – August 31), the 118th Annual SNA Business Meeting (September 1), and the SNA State Officer’s Conference (September 2). SEGreen will enable participants to see more green in their future by providing a platform for learning about and sourcing new and innovative products, gaining knowledge about near and long-term industry dynamics, and cultivating new business relationships. SEGreen will attract all industry segments across the Southeast – breeders, growers, landscapers, retailers, researchers, manufacturers, distributors, and service providers. The event is expected to draw more than 2,000 industry professionals. The SEGreen Marketplace will feature the best plants and related landscape products. The product mix will include ornamental trees and shrubs, color, equipment and related landscape and outdoor living products, garden gifts and accessories, seasonal products, and more – all from the region’s top growers and suppliers. Education for the grower, the landscaper, and the retailer will be divided into major areas of focus offering breakthrough concepts and hands-on training to further develop careers and expand business. The SEGreen Plant Conference will unveil some of the hottest new plants coming to market and offer a unique opportunity to learn from leading industry plant experts. The SEGreen Landscape Conference will feature estimating, design, and installation workshops for the novice or master alike. The SNA Research Conference will offer cutting-edge content of the latest horticultural research. Plus, on-floor education will feature new product demonstrations and reviews. “SEGreen is truly a vision of the future, offering attendees a new opportunity to see leading “green” people, see the newest and most innovative “green” products, and see more “green” in their bottom line, ” said Karen Summers, SNA Executive Vice President. “And Athens has a lot to offer – from art, shopping, dining and nightlife to gardens, local nurseries and retail garden centers. It has the vibe and energy to attract a large audience and build a fresh, new regional event,” she added. More details of SEGreen will be released in the coming weeks. For further information, contact the Southern Nursery Association, Inc., PO Box 801454, Acworth, GA 30101, 678.809.9992, mail@sna.org, or visit the SNA Website at www.sna.org. Mar. 5, 1934 - Mar. 1, 2016 Christine Parker Pursell March 5, 1934 - March 1, 2016 Mrs. Christine "Chris" Parker Pursell, beloved wife of Mr. James "Jimmy" Taylor Pursell, passed away to heaven on the afternoon of March 1, 2016, just 4 days from her 82nd birthday. Chris was born on March 5, 1934, to former mayor and Parker Fertilizer Company owner, Mr. Howard Arrington Parker, and to Mrs. Ola David Parker. She had one older sister, Julia Parker Oliver (July 7, 1929-July 10, 2014) and one younger brother, Howard Arrington Parker, Jr. (March 3, 1941-March 26, 1966). Chris was introduced to her future husband, Jimmy Pursell, by none other than Mr. Jim Nabors, a longtime local family friend who was made famous through his portrayal of the character Gomer Pyle in the Andy Griffith Show. After a few years of long-distance dating, with Jimmy in the Air Force and Chris off at Mary Baldwin College in Virginia, they were married on July 10th, 1953, at the Mather Air Force Base in Sacramento, California, just 17 days before the armistice was signed marking the end of the Korean War. Chris and Jimmy returned home to Sylacauga in 1956 with their young son, James "Taylor" Pursell II, just in time for the birth of their daughter, "Chris" (now Fleming). Jimmy joined Chris' father at Parker Fertilizer Company to sell their newest lawn and garden product, Sta-Green. Their youngest son, David Howard, was born in 1959. "Behind every great man is a great woman" is truly the statement to be said for Chris, as all of her husband Jimmy's successes are one and the same with hers. Together, they pioneered Christian leadership in business through being charter members of the Fellowship of Companies for Christ International, serving alongside the former Truett Cathy of Chick-Fil-A. Together they also helped form the Auburn University Center for Ethical Organizational Cultures. Chris and Jimmy's legacy is marked ultimately by generous stewardship, giving out of the abundance of their resources to people and organizations in need, both locally and abroad. In 2012, Auburn University's College of Human Sciences presented Chris and her husband with the Lifetime Achievement Award. Auburn acknowledged them by saying, "Success is measured by embodying the values of hard work, education, love of country, obedience to law, and soundness of mind, body, and spirit...Jimmy and Chris Pursell, as individuals and as a couple, are the gold standard for what it means to live the exemplary life." Chris's memory is joyfully survived by the following: Her husband of 62 years, Jimmy; her son, Taylor and his wife, Lydia; her daughter, Chris, and her husband, Aaron Fleming; her son, David, and his wife, Ellen. Her grandchildren: Taylor's children: Jamie and his wife, Haley; Sarah; Donna Jeanne; and Saylors. David and Ellen's children: Peggy and her husband, Garry; Vaughan and her husband, Tim; Chrissy and her husband, Alex; Ramsey and her husband, Andrew; Martin; Parker and his wife, Lauren. And finally, her great-grandchildren: Adison and Charlotte (Sarah), Margo, Gabe, and Camille (Vaughan and Tim), Evie (Jamie and Haley), and Landon and William (Donna Jeanne) (plus all friends and extended family which are too many to list). She had requested a family-only burial service, with no formal visitation beforehand. The family will honor this request on Friday morning, having a grave-side service and celebration at the family cemetery in Fayetteville. In lieu of flowers, before she passed, Chris requested that donations be made to Coosa Valley Resources for Women, the Fayetteville School Foundation, Knollwood Christian School, and Vapor International. Psalm 27:4 "One thing I ask from the LORD, this only do I seek: that I may dwell in the house of the LORD all the days of my life, to gaze on the beauty of the LORD and to seek him in his temple." Memorial messages may be sent to the family at www.radneysmith.com. Radney-Smith Funeral Home in Sylacauga, AL will direct the services. Mr. Edward “Ed” Samuel Porter age 80 of McMinnville, TN, died Thursday, January 07, 2016. He was born July 11, 1935 in Old Hickory, TN, graduated with the class of 1958 from the University of Tennessee with a degree in Horticulture, was owner of Triangle Nursery, Inc., Tennessee State Commissioner of Agriculture under Governor Ray Blanton, a member of Warren Masonic Lodge #125, a Scottish Rite Mason and Shriner, Rotary Club Member and a Paul Harris Fellow and a member and deacon of First Baptist Church. Mr. Porter was preceded in death by parents Calvert Lake and Alice F. Russell Porter and sisters Helen (Ray) Menees, Lucy (Carl) Bryan, Jean Porter, and brother-in-law Barry Boster. Mr. Porter served more than 50 years in the nursery industry, championing the causes and issues that kept the nursery industry strong and growing. He was past president, board member, Tennessee governor and lieutenant governor of ANLA. He also served as the chairman of the Legislative Committee for the Southern Nursery Association, member and president of the Tennessee Nursery and Landscape Association. An accomplishment of his dedication to the industry is the establishment of the Tennessee State University Nursery Crops Research Station. The Tennessee Department of Agriculture named its diagnostics laboratory building after him, The Edward S. Porter Animal Industries Building. In July of this year, the Southern Nursery Association (SNA) bestowed him with honorary membership for his years of dedication to the association and the horticulture industry. Survivors include his wife of 59 years Paula Porter, daughters Kim Porter (Sgt. Larry Williams), Greta Minton (Rickey), and Andrea Porter, grandchildren Julia Compton (Matt), Jacob Hicks, Zachary Minton (Kati), Wesley Minton (Victoria), Allie Burke (Boomer), Kaci Woodlee (Justin), and Will Lupo, and great grandchildren Lake Minton, Cavin Compton, Brock Compton, and Paxton Burke, and sister-in-law Judy Boster. Several nieces, nephews and their children also survive. Funeral service will be 1 PM Saturday, January 09, 2016, in the McMinnville Funeral Home Chapel. Rev. Mark Karki and Rev. Bo Hendrix will officiate. Interment will follow at Gardens of Memory Cemetery. The Porter Family will receive friends Friday from 4 PM until 8 PM and again Saturday from 11 AM until 1 PM at the parlors of McMinnville Funeral Home. Memorial contributions may be made to First Baptist Church Youth Department, St. Jude’s Children’s Research Hospital, or to the Alzheimer’s Association. Online condolences may be made at www.mcminnvillefuneralhome.com. A 24-Hour Obituary information Line is available (931-473-5700). McMinnville Funeral Home is in charge of arrangements (931-473-6606). 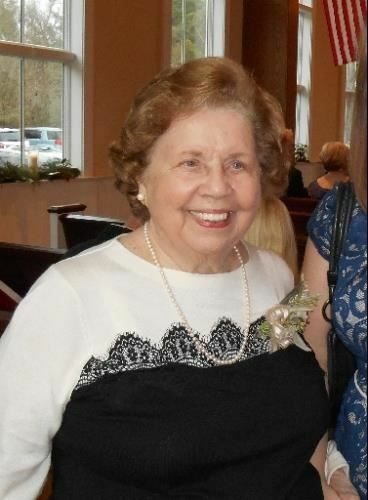 A Celebration of Life for Gladys Lucile Hinaman Powell, 97, who died August 29, 2015 will be held Saturday, September 5 at Hope Lutheran Church, 594 N Williamson Blvd. Daytona Beach, at 2:00 p.m. with Pastor Dennis Schmidt officiating. The family will receive friends Saturday, September 5 from 1:00 p.m. until 2:00 p.m. at the church. Gladys was born in Marion, Ohio on June 23, 1918 to Charles and Alice Hinaman. Gladys moved with her husband, John Harold Powell, who passed in 2007, and daughters to Daytona Beach in 1952. Gladys and her husband John founded, in 1954, Economy Label Sales Company, the manufacturer of the 1st weatherproof vinyl "Slip-On" label for the horticulture industry. Gladys and John endowed the John & Gladys Research Grant in order to show their commitment and support to the horticultural research institute. In addition to the 50 plus years of working with John in their business, Gladys was an avid golfer who loved to needle point, play cards, fish/boat, and travel around the world with her husband and family. 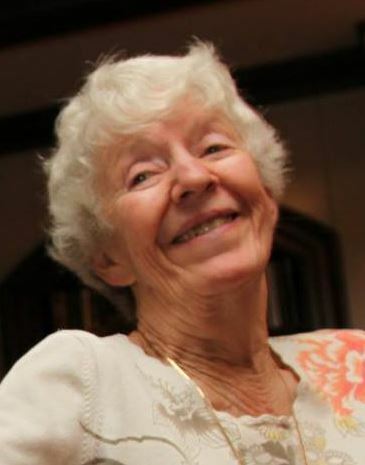 Gladys was a member of Hope Lutheran Church and the Palmetto Club, both of Daytona Beach. She is survived by daughters, Sharon and her husband, Larry Cooper, Ocala, and Barbara and her husband, Joe Cameron, Daytona Beach; grandchildren Rob (Denise) Grooms, Daytona Beach; Khristy (Mike) Dean, Westminster, Colorado; and Cathi (Mike) Rodrigo, New Smyrna Beach; and five great-grandchildren, Robby and Tommy Grooms, Ally Kay Dean, Madison and Mackenzie Carlin, and nieces Marlene (Don) Crall; and Mary Kay Kottyan, both of Bucyrus, Ohio. Gladys was also loved and admired by her five step-grand-children and their eleven children. In lieu of flowers, please send donations to Hope Lutheran Church Memorial Fund, 594 N Williamson Blvd. Daytona Beach, Fl 32114. Condolences may be sent to 213 Pleasant Valley Dr. Daytona Beach, Fl 32114 or 8798 SW 83rd Circle, Ocala, Fl 34481.
during the 117th SNA Annual Business Meeting held during SNA 2015. 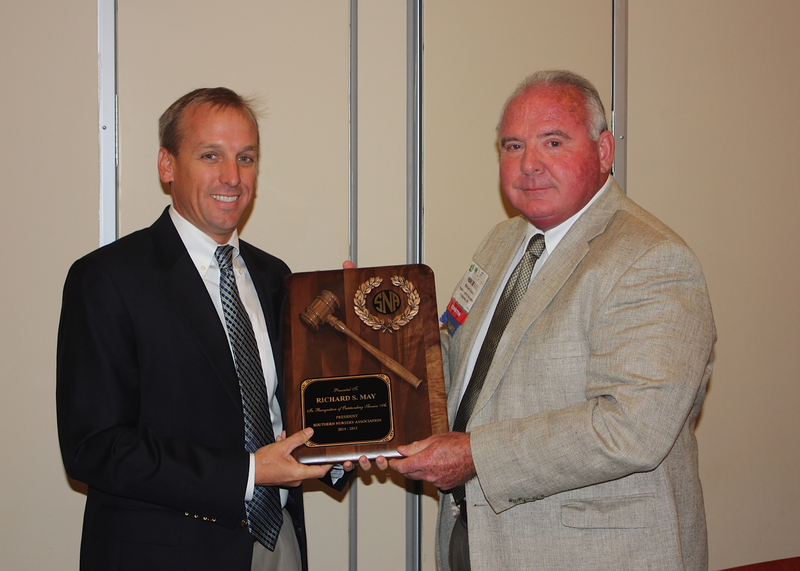 Atlanta, Ga., July 30, 2015 – Michael Hobbs, Warren County Nursery, McMinnville, TN, was elected president of the Southern Nursery Association (SNA) during the 117th annual business meeting held in August at the Georgia International Convention Center in Atlanta, Ga. The SNA is a regional trade association serving the horticulture industry in Southeastern U.S.
Hobbs is President of Warren County Nursery, McMinnville, TN. A third generation nurseryman, Michael has been active in the industry for more than 40 years. Founded by his father and mother, Leslie and Frances Hobbs, in 1950, Warren County Nursery is a wholesale field growing operation and greenhouses for liner production offering a complete line of bareroot seedlings, cuttings, liners, vines, wildflowers, fruit and nut trees, balled & burlap shrubs, shade trees, ornamentals and evergreens. Warren County Nursery has over 400 acres in production and over the past sixty years has become recognized as a supplier of native plants used in wetlands and reforestation plantings. Hobbs has served on the Tennessee Nursery & Landscape Association Board of Directors and served as president in 1979 and 1990. He was awarded the Tennessee Nursery & Landscape Association Wholesale Nurseryman of the Year in 1990. He received SNA's David E. Laird, Sr. Memorial Award in 1980, and served on the SNA Trade Show Committee in 2005. Hobbs has also served on the Horticultural Research Institute's Board as well as many other industry committees. Locally he has received the Jaycees Distinguished Service Award in 1980 and served as McMinnville Jaycees President in 1982. Michael married Margaret Robinson in 1969. They have three daughters: Brandie, Ashley and Emily; five grandchildren: Carter (13), Lauren (9), Ian (7), Elliot (5), and Behr (2 mos.). Michael and Margaret are members of the Hebron Church of Christ in McMinnville. “The SNA membership recently voted in a strong group of industry leaders to guide the association through this time of resurgence, said Karen Summers, SNA Executive Vice President. “This 2015-2016 board represents a group of individuals with a broad variety of perspectives and experience that can be leveraged to our advantage as we work to rebuild our membership base and the SNA Regional Marketplace. With the guidance of these knowledgeable leaders I am very confident we will emerge stronger and better. As a regional association we are very fortunate to be able look around the region for strong leadership that has served their state associations well and put those talents to work for association and the industry,” she added. 2015-2016 SNA Board of Directors pictured left to right. Front Row: Michael Hobbs, Dusty Knight. Michael Hobbs, Warren County Nursery, McMinnville, Tn., was elected president succeeding Richard May, May Nursery, Havana, FL. Newly elected SNA President Michael Hobbs is President of Warren County Nursery, McMinnville, TN. A third generation nurseryman, Michael has been active in the industry for more than 40 years. Founded by his father and mother, Leslie and Frances Hobbs, in 1950, Warren County Nursery is a wholesale field growing operation and greenhouses for liner production offering a complete line of bareroot seedlings, cuttings, liners, vines, wildflowers, fruit and nut trees, balled & burlap shrubs, shade trees, ornamentals and evergreens. Warren County Nursery has over 400 acres in production and over the past sixty years has become recognized as a supplier of native plants used in wetlands and reforestation plantings. Locally he has received the Jaycees Distinguished Service Award (1980) and served as McMinnville Jaycees President (1982). Michael married Margaret Robinson in 1969. They have three daughters: Brandie, Ashley and Emily, five grandchildren: Carter (10), Lauren (6), Ian (4), Elliot (2), and Behr (2 mos.). Michael and Margaret are members of the Hebron Church of Christ in McMinnville. The new industry leader joining the SNA Board this year is Rickey D. Minton, Owner of Triangle Nursery, McMinnville, TN. His other business interests include Principal Partner in Litewire Data, LLC, and Owner of Red Road Business Park. Rickey received his BS in Agriculture at Tennessee Tech University and MA in Divinity from Liberty University. He served as president of the Middle Tennessee Nursery Association (1988) and president of the Tennessee Nursery & Landscape Association (1991). He received the Tennessee Young Farmer Award in 1992 and in that same year he received SNA’s David E. Laird, Sr. Memorial Award. Minton has also served as the AAN Governor for Tennessee (1994) and the SNA Trade Show Chairman (1994). He is a Founding Member of the Tennessee Urban Forestry Council (1989). On the local level, is served as McMinnville City Councilman (1998-2002), was named Tennessee Jaycee Man of Year (2000), and is a McMinnville Rotary Club International Service Director. Rickey is a minister and missionary to Haiti and Africa, a prison ministry leader, and director of Lighthouse Men’s Shelter. Rickey is married to Greta Porter Minton. They have two sons and daughter-in-laws, Zachary and Kati, and Wesley and Victoria, and one grandson Lake. 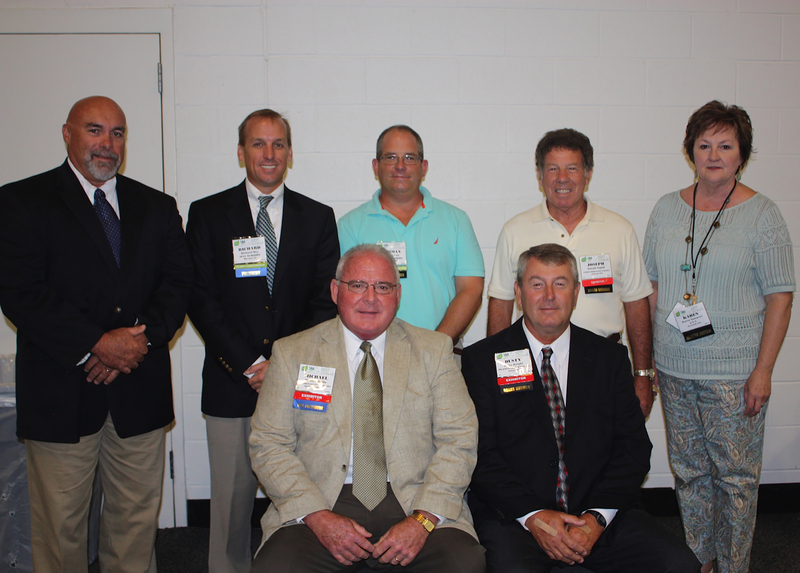 Atlanta, Ga., July 28, 2015 – The Southern Nursery Association (SNA) has announced the recipients of the 2015 SNA Awards. The awards were presented at the 117th Annual SNA Business Meeting on Thursday, July 23, 2015, at the Georgia International Convention Center, College Park, Ga., during SNA 2015. This year’s recipient of the Slater Wight Memorial Award is William J. “Bill” Boyd, Owner of Flower City Nursery, McMinnville, TN. Bill purchased the business from his father Joe Boyd in 1988. The business is truly his lifeblood. He began his career in horticulture at a very young age helping out at the nursery. He has been attending nursery meetings and conventions since he was about nine years old and has since devoted a large part of his life to nursery associations. Boyd served on the Middle Tennessee Nursery Association board from 1979 – 1984 and as president in 1983. From 1985 – 1998 he served for the Tennessee Nursery & Landscape Association (TNLA). In 1991, TNLA honored him with the Young Nurseryman of the Year Award. This same year, the Southern Nursery Association (SNA) awarded him the David E. Laird, Jr. Memorial Award. He served on the SNA Trade Show Committee in 1994 and served on the SNA board from 2001 – 2007, serving as president in 2006. Once again he came to the call of duty and served on the SNA board to fill a vacant spot from 2008 – 2014. Bill is the only person to serve on the SNA board for thirteen years. Bill gives unselfishly in other ways to the association. He has moved the SNA office three times and continues to serve on the trade show move-in committee today. This year’s recipient of the David E. Laird, Sr. Memorial Award is Jeff Allegood, Old Courthouse Nursery, Warsaw, NC. Jeff was born and raised in Greenville, NC and has loved being outside for work and play since he was a child. He got his first job was working in the corn fields of eastern NC at 15 and he later did landscaping and retail nursery work in high school and during his early college years. He is a proud Wolfpack alumni and he received a BS in Forest Management from NCSU in 2000. He became interested in ornamental plant production towards the end of his time at NC State and has managed production at several container grown nurseries throughout Eastern NC. Allegood currently oversees operations and sales at Old Courthouse Nursery (www.oldcourthousenurserync.com), a 40 acre container grown nursery in Warsaw, NC. The nursery does in house propagation to feed its production of 1 to 25 gallon material. Most of their material goes to B&B and container growers for lining out fields and potting up to larger containers. As the market started to show some signs of improving in 2012, Jeff and his team at Old Courthouse began aggressively building inventory to position for the upcoming demand from other growers that they predicted would exist on the back side of the downturn. The timing and product mix fell into place as their customers finally started planting and potting again and Old Courthouse has prospered through the recent plant shortages by having plant material when others didn’t. Jeff is an active member of the North Carolina Nursery and Landscape Association (NCNLA) and received the NCNLA Bill Wilder Outstanding Young Nursery Professional award in 2013. He is currently the President of the Johnston County Nursery Marketing Association (JCNMA) which is a cooperative marketing group of 24 nurseries located in and around the Johnston County area in central and eastern NC. The group maintains a unified website (www.jocoplants.com) for all of its members with inventories, company descriptions and a JOCOpedia plant database. The JCNMA also puts on their own tradeshow, the JOCOPlants Show, in July of each year in Raleigh, NC, which Jeff helps to organize and manage. When Jeff isn’t working he enjoys spending time with his wife Katie, daughter Etta (2.5 years) and son Luke (4 months). Outside of work and family he spends his time on his hobbies of hunting, fishing and growing vegetables. His other favorite pastime is cooking and grilling the harvests from these hobbies for his friends and family (and for himself). Jeff says he owes the biggest thanks to his parents for instilling a strong work ethic and always letting him find his own way to what he wanted to do. He also gives credit to the owners and employees at Old Courthouse Nursery and all of the people in the nursery industry that he has worked with that have taught him what he knows about growing and selling plants. This year’s recipient of the SNA Pinnacle Award is Gene Brogdon of Nursery Supplies. Gene ‘s family roots were in farming. He graduated from the University of Georgia with a BA in agricultural journalism. After serving 4 years in the US Navy as Quartermaster on the USS Buck, he did several tours of duty during Vietnam. After the navy he moved to the family farm and began a cattle operation. He worked as a vocational/agricultural teacher and served as the FFA Advisor. Gene’s career in the horticulture industry spans 34 years of working for Zarn, IEM, Lerio and Nursery Supplies. He has been known for building the largest and most elaborate trade show booths that required a year of planning. It took two trucks, two small trailers and two days to set up. Gene has engaged himself in the industry and has served on the Georgia Green Industry Association board and president of sales and marketing division. He was awarded the GGIA Staff Award of Excellence in 2013 for his many years of service, hard work and willingness to lend a hand. Gene has always actively worked to improve products, improve services and legislation that impacts the horticulture industry – and he has also served his customers well too. His storytelling and likeable personality brings a smile to everyone who knows him. He was voted “the wittiest” in high school. Is there any question why Gene Brogdon has been one of the best sales people in our industry? Gene retired from Nursery Supplies on July 1 but plans to stay active in the industry through the Georgia Green Industry Association and SNA. The recipient of the 2015 Porter Henegar Memorial Award is Dr. Jim Robbins. For the past 17 years Dr. Robbins has been an extension specialist and Professor in commercial ornamentals at the University of Arkansas Division of Agriculture. His role is to support all Green Industry businesses including garden centers, wholesale growers, and landscapers. His research program focuses primarily on nursery production related issues (e.g. automation, growing media, fertilizer, weed control) and woody plant evaluation. A hallmark of his academic career has been to work on issues that are driven by a need from the industry. Dr. Robbins has a very unique blend of academic and nursery industry experience that allows him to be identified as a leader in nursery crop research and extension. Prior to working for the University of Arkansas, he spent 9 years in the ornamental industry with two different companies: Briggs Plant Propagators and IMC Vigoro. Prior to that he was an Assistant Professor in the Horticulture Department at Kansas State University. His B.S. degree is in Ornamental Horticulture from the University of Wisconsin-Madison, Masters in Horticulture from the University of Georgia with Dr. Michael Dirr, and Ph.D is in Plant Physiology from the University of California-Davis. The 2015 recipient of the Don Shadow Award of Excellence is Ted Stephens of Nurseries Caroliniana, North Augusta, SC. Ted was born a plantsman. His sandbox served as his first propagation bed and he spent his allowance on plants and garden supplies. So there was no surprise when Ted received his BS and MS degrees in Ornamental Horticulture at Clemson University. From 1969-1972, he taught Horticulture in the Department of Golf Course and Landscape Operations at Lake City Community College, Lake City, Florida. Ted has served as the president of the South Carolina Nursery & Landscape Association and has received its “Outstanding Contribution to the Nursery Industry” award. He currently serves on the advisory board for the South Carolina Botanical Garden, Clemson, SC and The Center for Applied Nursery Research, Dearing, GA. The SNA Board of Directors also honors individuals that have served this association and the nursery industry in various capacities throughout the years and have made outstanding contributions during their active participation in the Southern Nursery Association with honorary membership awards. This year, six (Gene Brogdon, James Harwell, Louis Hillenmeyer, III, Sherry Morris, Jeff Miller and Ed Porter) deserving industry members received SNA Honorary Member Awards. Each recipient has made outstanding contributions to the association and the industry during their active participation in the Southern Nursery Association. Gene retired from Nursery Supplies on July 1 but plans to stay active in the industry through the Georgia Green Industry Association and SNA. His outstanding contributions to the industry was further acknowledged by SNA as the recipient of the SNA Pinnacle Award this year. James attended Marion Military Academy, Marion, AL, and earned his BS in Ornamental Horticulture from Auburn University. He was the owner and operator of three garden centers, landscape services and greenhouse growing operations. He served as President of the Alabama Nursery & Landscape Association (2005-2006), President Alabama Agribusiness Council (2010-2011) and has served as Governor of American Nursery & Landscape Association. He currently serves as Executive Director for the Alabama Nursery & Landscape Association, serves on the Alabama Green Industry Training Center Board of Directors, the Alabama Agribusiness Council Board of Directors, and numerous Department of Agriculture, Extension Service, and University committees. He holds Certification for Alabama Landscape Design, Alabama Setting of Landscape Plants, Alabama Ornamental, Turf and Pest Certification, and is an ALNLA Certified Nurseryman. James has been recognized with an Honorary Member of Planet Auburn University Chapter (2013), Auburn University College of Agriculture Outstanding Alumni (2014), and Alabama Nursery & Landscape Association Lifetime Achievement Award (2015). Louis Hillenmeyer, III is a 5th generation nurseryman. He holds a BA in business from the University of Kentucky. He has served as the American Nursery & Landscape Association governor and on their education and long-range planning committees. He has served as education chair and president of the Southern Nursery Association, and was honored with SNA’s Slater Wight Memorial Award in 1996. He has also served as president of the Kentucky Nurserymen’s Association. On the local level, Louis has served as Director of National City Bank, Christians in Community Service, Lafayette County Medical Association, the Rotary Club, Chamber of Commerce, and Kentucky Independent College Fund. He currently serves on the Sidney B. Meadows Scholarship Endowment Fund Board of Directors and is a weekly radio talk show host. Louis has poured out his tremendous energy and talents to this industry for years and it is time that he is honored with an SNA Honorary Membership. Sherry attended Abraham Baldwin Agricultural College in Tifton, GA where she held honors. She received her BS in Marketing Education from the University of Georgia. Her early career began with the US Department of Agriculture, Georgia Statistics Service as a statistician until she went to work for Dr. Jake Tinga, Executive Director of the Georgia Nurserymen’s Association in 1986. Upon Jake’s retirement she took on the task of filling his very large shoes. Although she was very young and inexperienced in association management, Sherry proved to be up to the task of growing a shoebox organization into the vibrant and relevant association that the Georgia Green Industry is today. Through these past 29 years, Sherry has built her excellent reputation among her peers for taking on the biggest of challenges, giving 150 percent of herself and always succeeding in bringing out the best in others. Among her other talents, Sherry is also a Georgia Certified Plant Professional. Since leaving GGIA she has fully engaged herself as the Executive Director of the Fannin County Family Connection, and is responsible for aggregating all social and charitable organizations within the county. She oversees three community gardens, a food pantry serving 150 families a week (17,125 year), a homeless shelter serving nearly 400 individuals annually. Once again, giving 150 percent to help others. Sherry is the youngest industry member to be recognized with an SNA Honorary Membership. Served as Secretary-Treasurer of the Virginia Greenhouse Growers Association from 1976 – 1988. He was hired as the Virginia Nursery & Landscape Association’s (VNLA) Executive Director in 1985 where he has served the past 30 years. Prior to that he served on the VNLA board serving as president in 1983. His first year as executive director, he worked with Wayne Sawyer to set up the first summer trade show. He is one of the original authors of the original VNLA Certification manual and one of the founders of the VNA Horticulture Research Foundation. Jeff’s association philosophy is that “individuals and companies can get a lot more accomplished effectively when they pool their resources and knowledge to work on common goals and issues” – and he has done just that throughout his career. Porter began his career in the industry with a Bachelor of Science degree in Ornamental Horticulture from the University of Tennessee in 1958. He worked for the Tennessee Department of Agriculture as a field entomologist before assuming the role of office manager at Forest Nursery in McMinnville. In 1966, Porter joined Triangle Nursery and became owner in 1968. In 1995, he sold Triangle nursery and established Porter Farms. Serving more than 50 years in the nursery industry, Porter was a leader championing the causes and issues that kept the nursery industry strong and growing. He has held numerous positions in ANLA, including holding the positions of past president, board member, Tennessee governor and lieutenant governor of ANLA. Porter also was a member and past president of ANLA's Wholesale Nursery Growers of America division. He also has served as the chairman of the Legislative Committee for the Southern Nursery Association, member and president of the Tennessee Nursery and Landscape Association, and member and president of the Middle Tennessee Nursery association. In addition to his posts in various industry associations, Porter also has held posts as the Tennessee Commissioner of Agriculture, state chairman of the Agricultural Stabilization and Conservation Service Committee, secretary-treasurer and vice president of the Southern Association of the State Department of Agriculture, and chairman of the Tennessee Forestry Commission. Porter has also held many community leadership positions. An accomplishment of Porter's dedication to the industry is the establishment of the Tennessee State University Nursery Crops Research Station. The creation of this facility is a direct result of the foresight, initiative and perseverance of Ed Porter. Ed has received many honors recognizing his contributions to the nursery industry including the Tennessee Nursery and Landscape Association's Wholesale Nurseryman of the Year, the Farmhouse Fraternity's Daryl Snyder Award for service in agriculture, Emeritus Trustee at the University of Tennessee; the McMinnville Chamber of Commerce's Free Enterprise Award, The Tennessee Nursery and Landscape Association's Hall of Fame Award, and the Tennessee Department of Agriculture naming its diagnostics laboratory building after him, The Edward S. Porter Animal Industries Building, the ANLA Hall of Fame Award (2002), and SNA’s Slater Wight Memorial Award (2003).